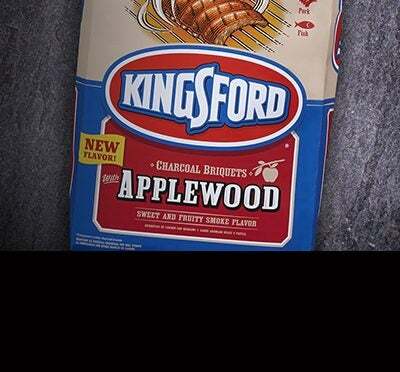 Kingsford® Charcoal with Applewood provides a light, delicious smoky flavor to your favorite foods. That’s because each briquet contains high-quality applewood — ideal for poultry, pork and more. And just like Kingsford® Original Charcoal, Kingsford® Charcoal with Applewood features our signature Sure Fire Grooves® for easier, faster lighting*. Available in a 6.62kg bag.